Spray 3 1/2- to 4-quart slow cooker with cooking spray. 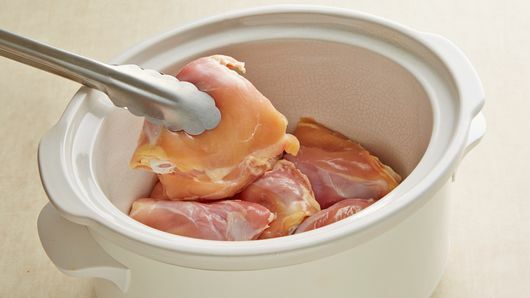 Remove skin and any fat from chicken; place in cooker. 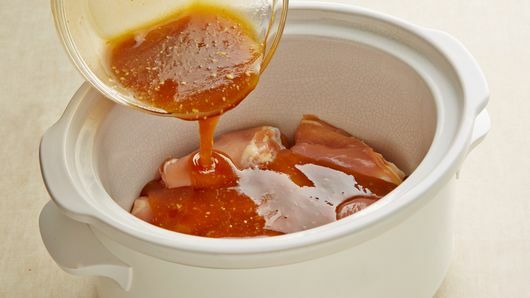 In small bowl, mix brown sugar, honey, mustard and apple juice. Pour over chicken. Cover; cook on Low heat setting 4 to 5 hours or until juice of chicken is clear when thickest part is cut to bone (at least 165°F). 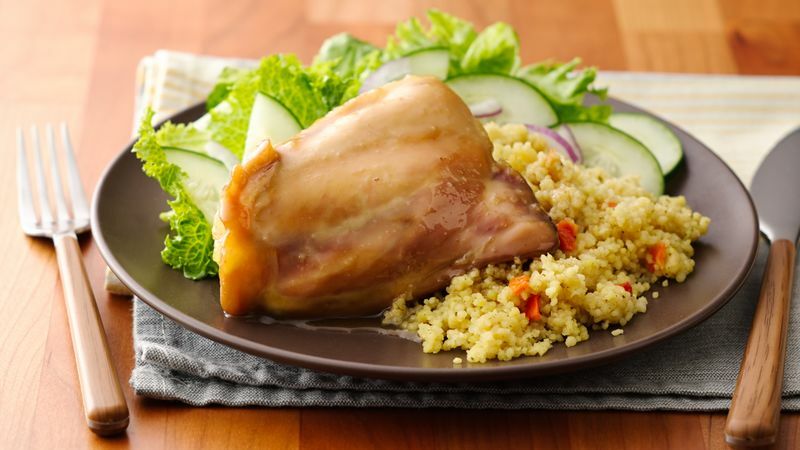 Boneless skinless chicken thighs can be substituted for the bone-in chicken thighs. Reduce cook time 30 minutes. Serve with herbed couscous and a tossed salad.